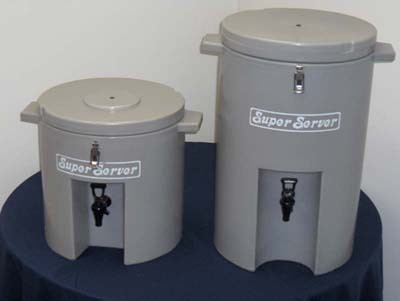 Insulated beverage servers with spout. Great for hot chocolate or iced tea. Keeps hot beverages hot and cool beverage cool.